Wow! Somebody’s brother is all hot and bothered over abuse that they say “never” happened. I think they do protest too much! Just a little defensive aren’t we Eric? He’s just taking a page out of the Clinton playbook… The hag attacked and demeaned Bill’s victims and her goal was to destroy them. The left isn’t only just hypocrites, they are also completely morally bankrupt. As reported on Sunday Rep. Keith Ellison’s former lover Karen Monahan hurled accusations at Keith Ellison the Deputy Chairman of the Democrat Party. 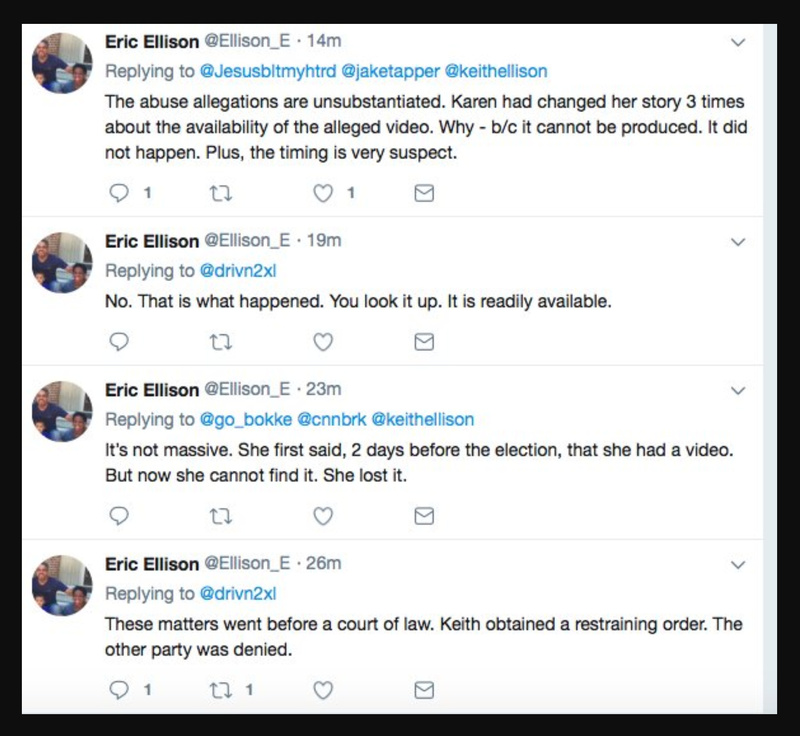 Now Eric Ellison is attacking the woman who accused his brother of abuse. Karen’s son accused Democrat Party Deputy Chair Keith Ellison of physically and mentally abusing his mother while they were in a relationship. Austin Monahan described seeing a video of HORRIFIC abuse by Keith Ellison. And a police 911 report confirms the incident thanks to the work of Laura Loomer! How does his brother know what happened between Keith and a woman in their bedroom? I bet at least 2 more women come out and nothing will happen to him.